With a wink and a nudge, he delivers essays on topics ranging from Originality and The Quest For Happiness to Pet Rocks and Books vs. Movies. "Read by Dawn" arrived in pristine condition, but will be leaving here in a less-than-perfect state (there was one of those ominous cracks when I bent the spine a little too far back). But if the book's been changed by being read, so have I by reading it. Kari is a woman with a secret and a mansion on a large estate. Steve is a man with a secret and a desire to develop mansions on large estates. Oops, that might be his secret. Normally I would start a review with a summary of the plot, but having only read "Ocean Sea" once, I don't feel competent to summarise it. Suffice it to say that some characters get together at a hotel by the sea, and there's a chap painting the sea with sea-water, a woman who's going to die unless the sea can cure her, another woman who's trying to choose between her husband and her lover, and a lot of strange children. There is so much beauty here, densely packed yet woven like gossamer thread. This is a reading- group book. You can tell because it's about mothers and daughters, because it has race- and gender-based complications, and because it has Reading Group Questions at the back. Curtis Smith’s "Sound and Noise" is a fascinating portrayal of two people trapped in lives of stagnant frustration. Tomato Girl is a fairly standard coming-of-age story, occasionally daring in some aspects, but, on the whole, rather mediocre. Ancient gods, cultish murders, royal intrigue, and sapphic love--The Silk Palace has it all. The chapters are brief, often terse, and the story progresses swiftly--at times a little too swiftly, in that I felt the characters bounced a bit too much in mood and disposition. At the same time, the quick pace kept me turning pages. 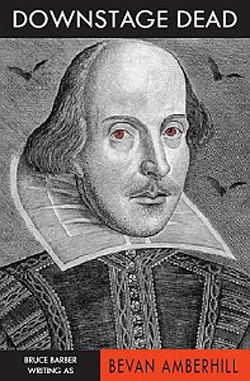 "Stone Masters: A Vampire Reckoning" is a vampire novel told from two perspectives, in the form of diary entries. Both of the main characters, Orpheus and Jadeon, start us off with an entry from June 2006 as the set up to tell the story of how they became what they are, several hundred years earlier. "Words from a Glass Bubble" by Vanessa Gebbie is a collection of nineteen of her short stories, compiled in a handsome hardback from Salt Publishing. There's no overarching narrative, but although the stories are very different, some themes and images crop up more than once. "Last Dragon", published as the first of the Wizard of the Coast Discoveries, is like no Fantasy novel I've ever read. It's non-linear, told as a series of letters? reminiscences? campfire tales? that flit about events and times yet slowly and inexorably bring the reader to the book's conclusion. When I know a book is going to be part of a series, it has to be pretty darn good for me to consider forking out for future instalments. Unfortunately, this book doesn’t work so well as a stand-alone novel, and that was disappointing. It's a thin book. However, if you're about to become the romper room for someone else's narratives, neuroses and hang-ups, it's cheery that the book is at least thin. They won't be here long. Maybe you can cope. It's a lot of story (and a lot of stories) for your buck, and none of them are duds. Paul Elwork's "The Tea House" is a bold first novel, entering the strange, secretive world of two children who discover a way to convince others they can contact the dead. I found that shortly after I entered the flashback that made up 99% of the book, I was well and truly hooked. For the first forty-five pages or so of this novel, nothing much happens. Instead of a plot, we're treated to an apparently endless stream-of-consciousness tirade from the first person narrator. This Horror anthology is nicely presented, with an introduction that gives the reader a small taste of what's to come. The stories are topped by short commentaries from the authors on how they came to write their stories, and tailed by their biographies. AHOP is an annual collection of humorous specfic wrapped up in "hot buttered weirdness". Jack Teeter's Coop is the story of a blackballed baseball coach making a comeback seventeen years after a car crash robbed him of his voice--and his livelihood. Bound in Skin is a collection of seven short gothic romance stories that mostly stick to formulaic plots. There are, however, two stand-out stories in this collection--the title piece 'Bound in Skin' by Janine Ashbless and Carole Lanham's 'Cleopatra's Needle'. It's hard to read many travel books without a sense of 'Why? Why are you putting yourself through all this?' and Traversa is no exception. EZ Lovin' is a slightly modern romance in a modern setting, but it follows the old formulas with only a small nod to up-to-date ideas about gender relations. I enjoyed this book--it's something of a romp, although possibly that obscures a serious purpose. But, oh dear, it's often unintentionally hilarious as well. Mend Your Misery is a collection of twelve poems largely focused on love and heartbreak. Kristofer Dommin seems to have channeled that spotty teen-angst phase that drives people to poetry, and honed it to its core. Sparks fly in this hugely-enjoyable paranormal romance. When central character Dr Megan Chase takes a job as a counsellor on a radio show, the tagline, "how can I slay your personal demons?" attracts unwanted attention from, yes, personal demons. "The Oblivion Society" is a hilarious post-dot-com, energy-drink-fueled apocalyptic romp with some fun science (somewhat abused) and clever characterizations. You want to win our review copy! I had to take a step back after reading Vacation to realize it really is as imaginative as it's advertised as being, because it's not so much the usual suspects, like the crazy plot antics or the political interpolations, that impressed me, but the parts that were presented more matter-of-factly, the characters and the interactions. This is a nasty book. If you're expecting to read about Hannibal the famous general, Hannibal who crossed the Alps and gave the Romans the thrashing they deserved, forget it. Starlight Cinema presents Witching Hour Theatre: "a shadowy world of hauntings and serial killers, werewolves and cannibals, slaughter and mayhem." Once a week, Starlight Cinema flips its marquee and presents a triple-feature of silver-screen horror: something recent, something classic, and something obscure. MEAT is a strangely compelling read. Despite weaknesses in the narrative, it draws the reader in, shows them a bizarre yet intriguing world, and makes them read to the very last page. This is a great book for the epi-curious romantic, but also stands on its own as an inspiration for the more experienced. The humor, full-meal suggestions, and anecdotes make this much more than a simple collection of recipes; and it's further enriched with a guide to wine selection, a guide on setting the table, unit conversions, and a glossary of terms. This "Collection of Deadly Stories" sets itself the difficult task of having one short story for each of the plagues in Exodus. Read the review and see the first comment for how to win our review copy! 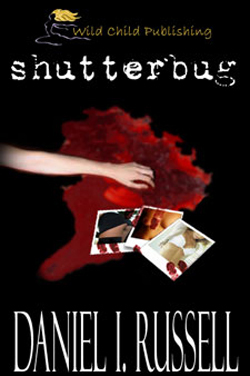 Daniel I. Russell's Shutterbug is a readable novella. See comments for how to win a .pdf of Shutterbug--contest open to all! Downstage Dead by Bevan Amberhill is a marvelous book which I highly recommend. In the States/Canada? See the comments for how to win our review copy! 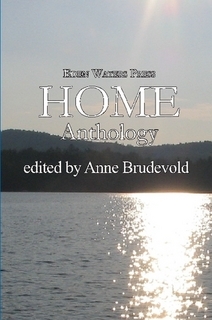 poems—revolving around a common theme: home. In the States/Canada? See the comments for how to win our review copy!